The problem with bounce rates is that they’re not actually a great way to measure website quality, but search engines and ad brokers think they are. This is because there are actually two main things that can drive a bounce rate up: visitors not finding anything like what they’re looking for, and visitors finding exactly what they’re looking for. If your website’s keywords and ads attract exactly people who need to read your landing page content, and nothing else, then you a performing a public service by making the internet more useful, but you are actually increasing your bounce rate. Similarly, encouraging visitors to call the phone number on your landing page is great for generating leads, but can be deadly to your bounce rate. Because of this, I’m a big fan of determining an “acceptable” bounce rate. For most intents and purposes this is around 40%. If you can get lower, that’s great, but don’t worry too much about over-optimizing your landing pages if you’re below 40%. If you’re above 40%, follow these steps. Figuring out whether you are over-optimized or under-optimized can be extremely challenging. This is because most webmaster tools have no way of determining why visitors bounce. That’s where AdLuge comes in handy. AdLuge integrates data from your phone and email leads. This makes it easier to determine when bounces are actually due to customers calling or emailing you directly. In addition, you can use AdLuge cookies to find out if visitors who bounce ever return to your site. This is a good indicator of over-optimization: if your content is very useful, users might bounce but will come back later to learn more. If neither of these are significant factors, then your landing page is under- rather than over-optimized. If your content is over-optimized, there is no quick and easy fix. I would advise against breaking up your content or making it less useful, because this can quickly cause your website to swing over to under-optimization territory. Before you do anything drastic, try pushing links, share buttons, and calls to action more in your content. You could also add a “You might be interested in these articles” sidebar. Give this a try for a few weeks and see if visitors are still bouncing and returning at a high rate. If none of these measures worked, consider breaking up your content into small summaries and links on your landing pages. If your landing page is under-optimized, follow the standard laundry list of ways to reduce your bounce rate: pick tighter and more geographically focused keywords, write clearer ad copy, improve your landing page’s appearance, include your landing page’s navigation options, etc. As your bounce rate goes down, keep diagnosing it to watch for and counter signs of over-optimization. 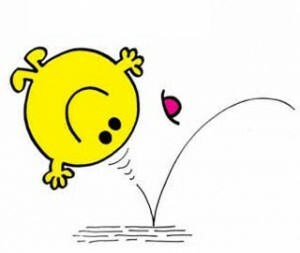 More often than not a site’s design can be the culprit for a high bounce rate. If your content is hard to find, or if your site or landing page is just plain ugly people likely won’t stay on it. There’s nothing worse than searching for what you want, choosing a promising search result, then landing on a page that looks like it’s ten years old; automatically, most visitors will discredit your site and look to another page to find the information they’re looking for. It’s also important to note that when people land on your site, go back to Google and quickly search again, they effectively tell Google that your page isn’t relevant and if people do this enough times, it can hurt your site’s organic rankings. Really helpful for those of us out here, who have very little knowledge about managing our websites. I will start working out my bouncing problems and this guide will be my guiding star! Thanks for providing an article on bounce rate that didn’t leave me scratching my head in confusion. I am also a newbie to running a website and I am relieved to see that there are some ways to remedy bounce rate problems. The Adluge cookies tool sounds like it would be a valuable tool for tracking and managing bounce rates. Thanks again for the information!